Have you heard the dirty little secret about email? You can follow all the best practices – every single one -- and still not get the open, read and click through rates you want. You can write subject lines short enough to be seen on mobile devices. You can craft easily scanned, reader-focused copy. You can even pop your buttons in contrasting colors. Yet your metrics may still lag behind your goals. It turns out that science offers a very good reason for this. And it has to do with how people actually make decisions. According to social scientists and behavioral economists, up to 95% of decision-making takes place in the subconscious mind. That’s right, 95%. We all like to think we, and our customers, make thoughtful, considered decisions. But very often people simply rely on decision-making shortcuts – certain automatic, instinctive, reflexive behaviors. Humans have developed these shortcuts over the millennia as a way to conserve mental agency. And today these hardwired decision defaults can impact everything from what people read, to whom they trust and when they buy. The good news? If you’re aware of these decision-making shortcuts, you can create emails that take advantage of them, prompting people to automatically take the actions you want them to take. Following are five ways to do just that. Social scientists have found that people don’t like to leave things incomplete. Once we start something, we feel compelled to finish it. It actually bothers us not to. Think about a book you’ve read to the end, even if it wasn’t as good as you thought it’d be. Or a TV series that you just couldn’t wait to come back after the summer hiatus, so you could see how things turned out. That’s all evidence of the Zeigarnik Effect in action. And email marketers can use this principle very effectively. For example, send a message reminding prospects that they began designing or customizing a product on your website, but never finished. Or that they added several items to their cart, but never quite checked out. Another powerful application of the Zeigarnik Effect can be used in loyalty programs. You know those digital punch cards that offer customers a free product after they’ve made 10 purchases? Instead of showing 10 empty squares waiting to be marked off, show 11 but already mark off the first one. The number of purchases you want customers to make remains the same. But in the latter scenario, the card has already been started, and that can make people feel compelled to complete it. In fact, one social science study showed a 78% increase in completions using this tactic. People will determine the likelihood of something happening based on whether or not they can recall an instance of it. That’s why, when asked, someone will tell you that lots of people die in plane crashes. They’ll think back to the news reports they’ve heard involving planes, remember many of those stories involved crashes and casualties, and based on this information that’s “available” to them, determine that yes, many people must die in crashes. What they don’t have available to them is many stories of perfectly safe plane landings. 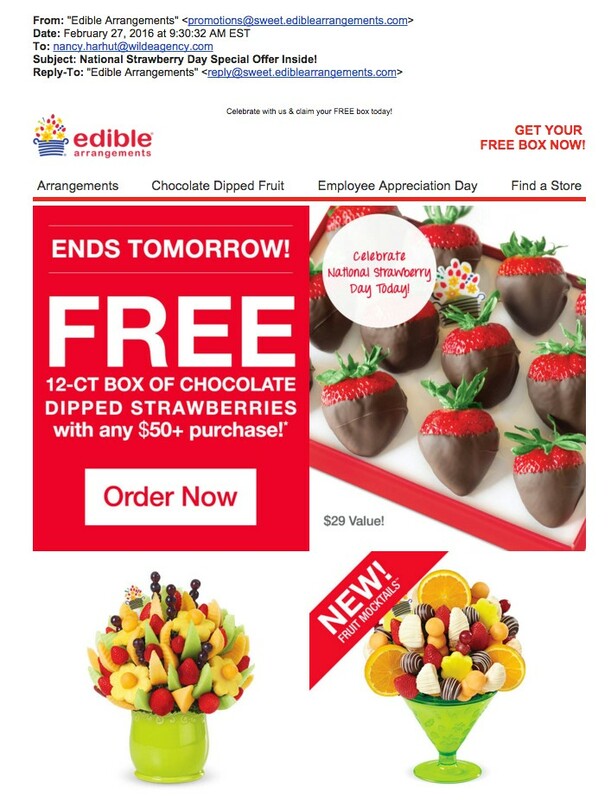 So how do you use Availability Bias in email marketing? Before you ask your prospect to buy your product or service, first ask them to think of a situation in the past when they could have used it. Or to imagine a time in the future when it might fit nicely into their lives. This will make them more receptive to your message, because they’ll judge the likelihood of the event (in this case their needing what you’re selling) to be higher. However, just let people know that the product or service is available only to certain people, or only for a certain amount of time, and that changes everything. Suddenly, people will want it. And want it badly. This is the Scarcity Principle in action. It has two sides – exclusivity, when something’s available only to certain people, and urgency, when something’s available only for a limited time. Email marketers can easily tap into the Scarcity Principle using deadlines, exclusive offers, and limited quantities. 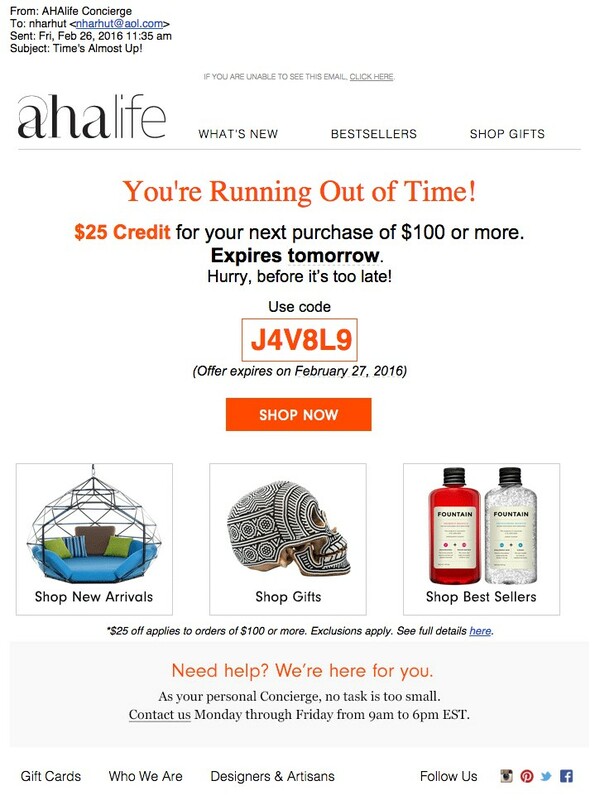 Include expiration dates in your emails, emphasize that your target is receiving the email because they are part of a certain group, or underscore how rare, hard-to-get or nearly sold out your product is. When people are young, we’re taught to recognize and respect authority. By the time we’re adults, it’s second nature to us. We automatically trust and believe those whom we perceive to be authorities -- often without giving it a second thought. And that’s why the Authority Principle can be so powerful for email marketers. We can use it to catapult our companies to the top of our target’s consideration list. If our email includes an endorsement from a respected person, publication, association or institution, it can trigger a decision-making shortcut. Our targets will assume the endorser has done all the research, saving them the time and effort. It becomes an easy decision to just take the expert’s recommendation. In addition to a quote from an authority, you can also trigger this response by adding badges or logos from business, consumer and trade associations to your email, mentioning that you’ve been named to a top 10 list, or showing that your product or service was featured in the news. Once your target sees you’ve attracted the attention of an authority, you’ll instantly look better than your competition. According to the Von Restorff Effect, people notice and remember things that stand out. If something is unusual or different, it attracts our attention. So, as email marketers, we want to take advantage of days that are unusual and different. And what days are unlike most any others? Holidays and special occasions. Special occasion emails can encompass customer birthdays and anniversaries, as well as company Founders Days and new product launch days. Holiday emails can include all the traditional holidays --Independence Day, Halloween, Thanksgiving, etc. – as well as any of the offbeat and unusual ones that a quick Google search can reveal. For example, as I write this, people all over the USA could be celebrating National Chicken Boy Day, National No Rhyme (Nor Reason) Day, National Gyro Day, National Cherry Popover Day and Emma M. Nutt Day, who you may or may not recognize as the first female phone operator. Admittedly, these are rather obscure holidays, but they can provide the inspiration for an email theme that could certainly stand out from every other day. The truth is, there are lots of hardwired behaviors and decision defaults that your target relies on every day. And this applies regardless of whether that target is older or younger, highly educated or not, rich or poor, male or female or in a B2B or B2C environment. As you develop your email campaigns, don’t stop at best practices. Also factor in the way people actually make decisions. When you do, you’ll finally see that increase in open, read and click through rates you’re looking for. 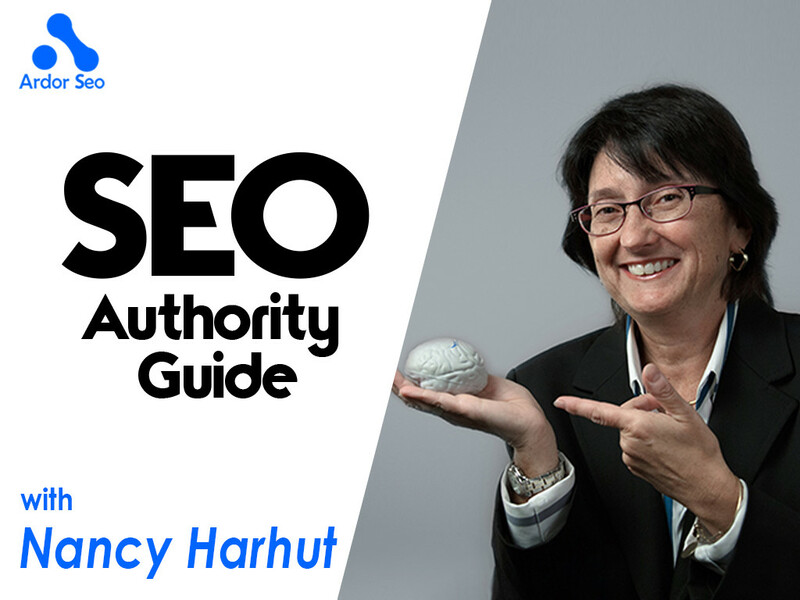 Nancy Harhut is the Chief Creative Officer of Wilde Agency, where she combines social scientists’ insights about human behavior with digital and direct marketing best practices in order to get people to act. Prior to Wilde, Harhut held senior creative management positions with Hill Holliday, Mullen and Digitas. She and her teams have won over 175 awards for marketing effectiveness. Harhut's a popular speaker at conferences from NYC to Moscow. She was recently named a BostInno “50 on Fire” honoree. 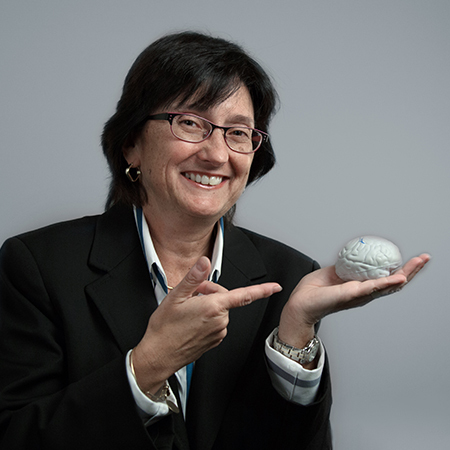 Connect with her at nancy.harhut@wildeagency.com or on Twitter. Wilde agency creates digital and direct marketing campaigns driven by what behavioral scientists have proven about how people make decisions. And, we deliver superior results for some of the best brands around. You can find Wilde Agency on Twitter, Facebook, and LinkedIn.